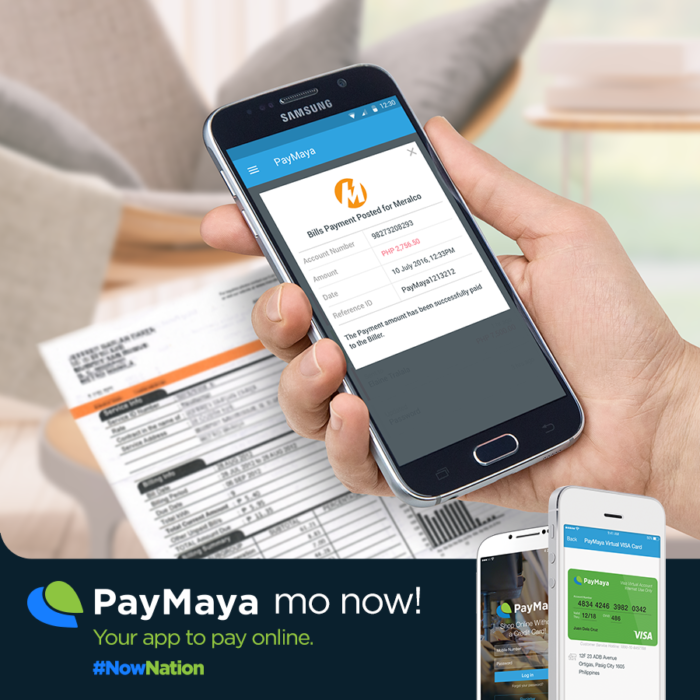 When PayMaya was officially launched about half a year ago, it was promised that one of the upcoming in-app features of it would be the ability to pay bills. I think that particular feature has finally arrived to PayMaya users today.
" Your app got even better! Update to the latest version to enjoy the new "Pay Bills" feature. Now you can pay your Meralco, PLDT, Cignal, and Laguna Water bills anywhere you are! Make sure to input your MERALCO REF NO as your Account No. There's more to come so stay tuned!" So as soon as I read this message, I updated my PayMaya app to check out and headed to the PayMaya website to learn more. Then I realized that it's been available since August 8, 2016, which is pretty nice. So as of right now, through partnership with Bayad Center, PayMaya users can now pay their utility bills for the following companies through this app. For now, only those four are available for the PayMaya Pay Bills feature. But don't worry as according to the company, more and more billers or merchants will be added in the roster soon like Smart Postpaid, Globe Postpaid, Sun Postpaid, POEA, PhilHealth, Pag-IBIG, NBI, Maynilad and many more. So how to pay bills using PayMaya? Simply go to the settings, click on the 3-bar icon at the top right of your PayMaya app screen, and select Pay Bills from the menu. In the next screen you will be asked to select the biller, enter Account Number, and the amount to be paid. To see full step by step guide, including how to key in correct account number as well as see FAQs for this newest Paymaya service, click here. Good news is, this new Pay Bills service is free of charge which is a super added convenience for most of us. By using this service, it's not just about saving time and effort if we take the usual route of going to the payment centers of these companies, it's also about saving money.